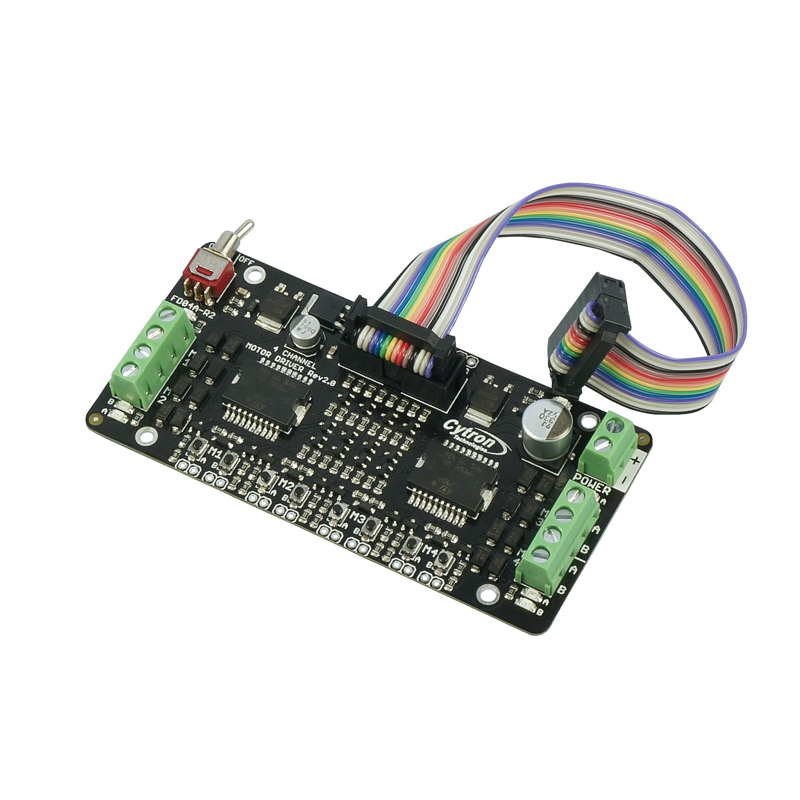 Flexibot Driver 4 Channels (FD04A) is special designed to drive up to 4 DC brush motors. It offers low cost and easy to use DC motor driver capable of driving up 4 DC brush motors and the current can goes up to 3-Ampere. By interfacing with Arduino Duemilanove (Arduino-Due) – Obsolete, replace with Arduino UNO , the board is ready for driving up motors with direction, start, stop and speed control. 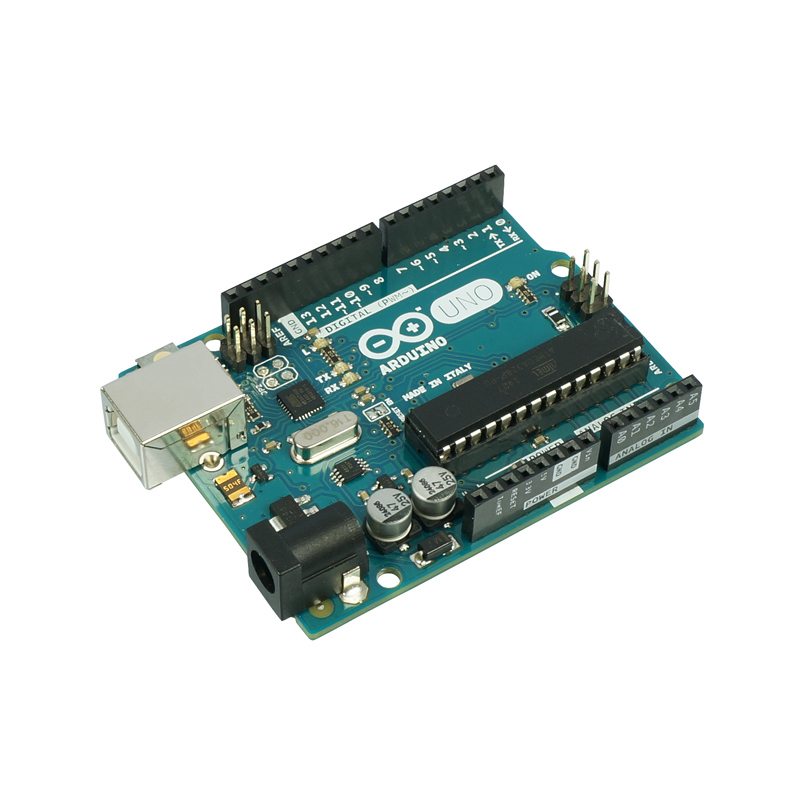 As I know, Arduino Duemilanove is a microcontroller board based on the ATmega328 (datasheet). As shown in Figure 1, it has 14 digital input/output pins (of which 6 can be used as PWM outputs), 6 analog inputs, a 16 MHz crystal oscillator, a USB connection, a power jack, an ICSP header, and a reset button. The pins mapping for ATmega328 was shown in the Figure 2. By choosing Arduino microcontroller, it allows users to process inputs and outputs going to and from the chip in simpler way in terms to control the motors easily. In addition, further interface with PS2 Controller Starter Kit (SKPS) will allow users to control the motors with PS2 controller through Universal Asynchronous Receiver/Transmitter (UART) which will establish a serial communication between Arduino and SKPS. Therefore, in this tutorial, I will explain some ideas and connections to interface FD04A and SKPS with Arduino. Thus, some guides to control the Flexibot move forward, backward, rotate clockwise, rotate counter-clockwise and also some more different direction movements will also be explain in this tutorial. Let’s begin! **Notes: Please refer to Arduino Starter Kit Manual for further informations. **Notes: For further informations, please refer here to study ATmega328 pin mapping and schematic. In this tutorial, we need to use Flexibot (using 3 transwheel with 3 DC motors) as the robot base to demonstrate the functionality of the interfacing between FD04A and SKPS with Arduino-Due. Originally, the Flexibot was using PR19 DIY project circuit board with PIC16F777 as the microcontroller to control the motor driver but now we remove this circuit board and replace it with Arduino-Due as microcontroller so that we can interface FD04A and SKPS with Arduino. 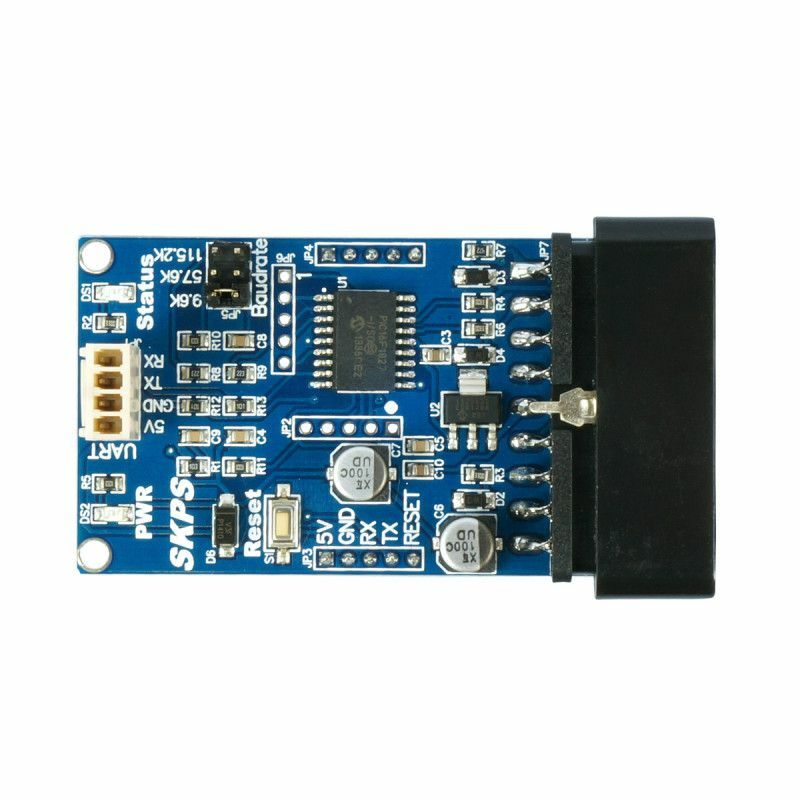 The following sections will explain separately the connection between FD04A with Arduino and SKPS with Arduino. After that, some simple source code with Arduino IDE and some programming ideas will be discussed to control the Flexibot. As explained earlier, there are 14 digital input output pins in the Arduino-Due which consist of 1 transmit data pin, 1 receive data pin, 6 PWM output pins and 6 usual digital I/O pins. To control the Flexibot, since we need to control 3 DC motors to move to different direction, so we need to use 6 usual digital output pins and 3 PWM output pins from Arduino-Due. As shown in the Figure 4, there are 4 channels can be used to connect to the motor but as for Flexibot it only need to use 3 Channels to control 3 DC motors. The channels that being used for Flexibot are Channel 2, Channel 3 and Channel 4. Firstly, I want to explain first about the pin connections of 2×7 IDE socket in the FD04A as shown in the Figure 5. **Note: the labelled numbers represent the pin number. 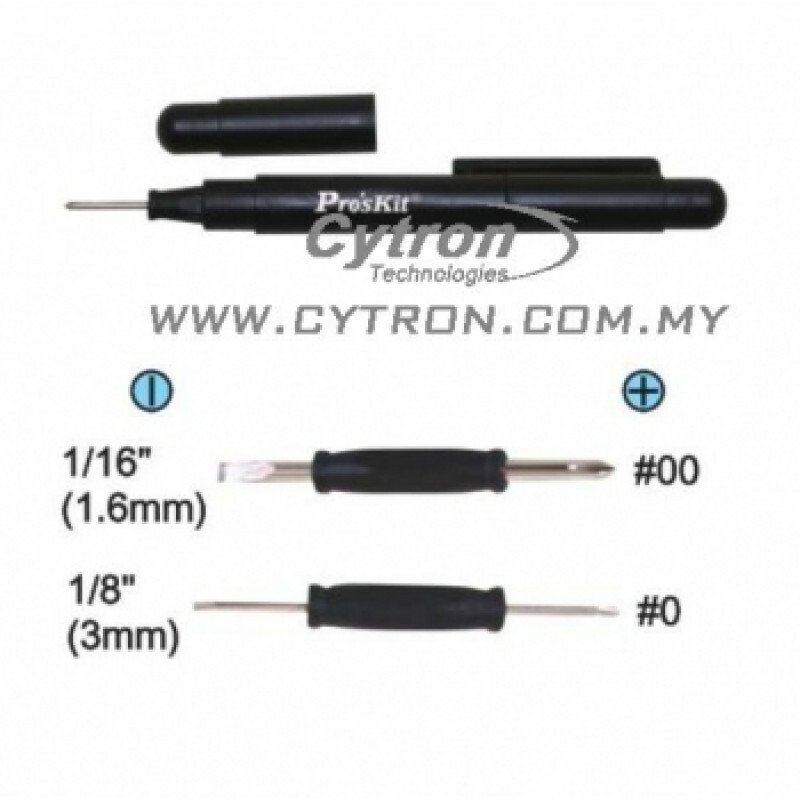 **Note: Please refer to the FD04A User Manual (Rev1.0, Rev2.0)for further informations. 1. Please use the Male-to-Female Jumper Wires to connect them. 2. To supply the motor power in FD04A, connect the PWR terminal with 12V Battery. Make sure the polarity of the battery is correctly connected to avoid damage on FD04A board. 3. Make sure the 5V power supply from Arduino-Due is connected to FD04A board’s 5V pin to power up it. The main purpose of SKPS in this tutorial is to enable us to control the Flexibot with PS2 controller. It can communicate with the host (Arduino-Due) through UART to execute various functionality such as controlling the Flexibot in different movement/direction by pressing different buttons on PS2 controller. Thus, the connection between SKPS and Arduino-Due is quite simple which there are only 5 pins need to be connected as shown in Figure 6. **Note: Select baud rate as 9600 for this tutorial. 1. 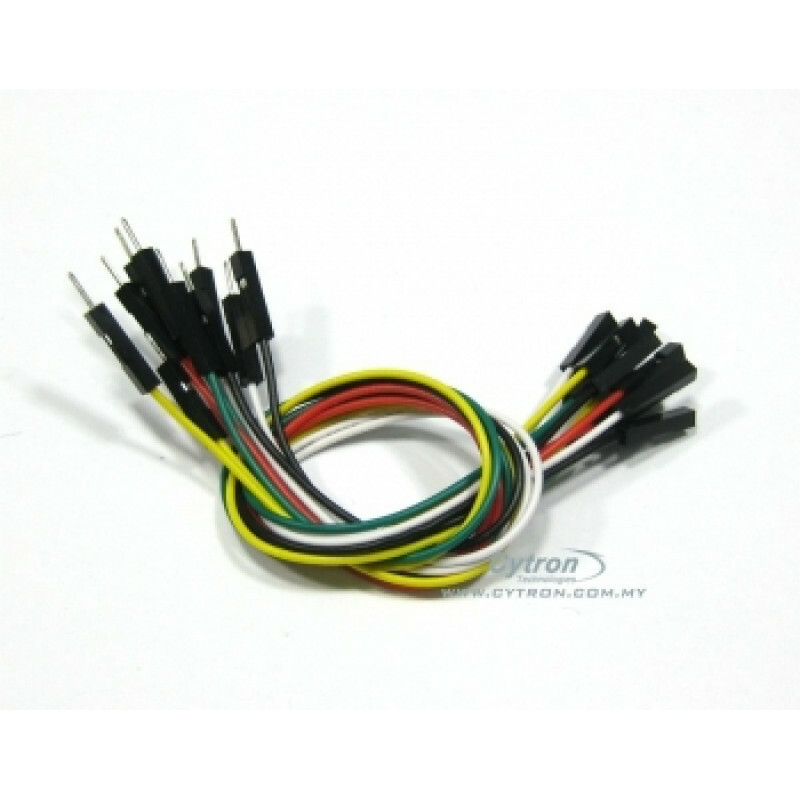 Please use Male-To-Female Jumper Wires to connect them as for FD04A. 2. The RX and TX pins must be cross connected to the microcontroller. In other words, RX should be connected to microcontroller’s Transmitter pin (TxD), while TX should be connected to microcontroller’s Receiver pin (RxD). 3. The connection for RESET pin is optional because there is already a reset button on SKPS. If the RESET pins is connected, the user is able to reset the microcontroller during run time. 4. Make sure that the 5V supply that connected to SKPS must be a stable supply of 5V. Any ripple higher that 5.5V will spoil the controller on SKPS. I suggest to use the 5V power out from Arduino-Due. 5. Please refer to SKPS User Manual for further informations. Besides that, we have one more pins in each channel of FD04A which is speed control pin (on IDE socket pins). For this pin, we need to connect to the Pulse Width Modulation (PWM) from the microcontroller. By doing this, we now can manipulate the programming to change the motor speed. Anyway, if we want only full speed motor, we can just connect it to the Vcc or 5V. To establish the serial communication between SKPS and Arduino-Due through UART, the basic idea is to send correct protocol to SKPS through serial port so that it will check the status of certain button of PS2 controller. But before that, we should set the beginning data rate in bits per second (baud) as 9600 for serial data transmission. Now, let’s start to use Arduino IDE for programming! Firstly, we need configure some setting first in Arduino IDE. Thus, we need to set the board (under tools) as Arduino Deumilanove w/ ATmega328. Note: For downloading the completed sample code, please click the link that given in the end of this tutorial. Serial.flush(); //Waits for the transmission of outgoing serial data to complete. In a nutshell, we can further control the Flexibot in more patterns after certain PS2 Controller is pressed such as move forward and backward continuously or do more than one type of function on table above at a time. It is the interesting part that we can manipulate with by programming. Furthermore, the Arduino programming environment is easy-to-use for beginners, yet flexible enough for advanced users to take advantage of as well. Thus, it is a right decision by choosing the Arduino to interface with FD04A and SKPS because it is easier to manipulate with if compare to PIC microcontroller. For download completed sample source code, click the link here. hey, i would like to ask about the coding of joystick PS2 in ARDUINO. 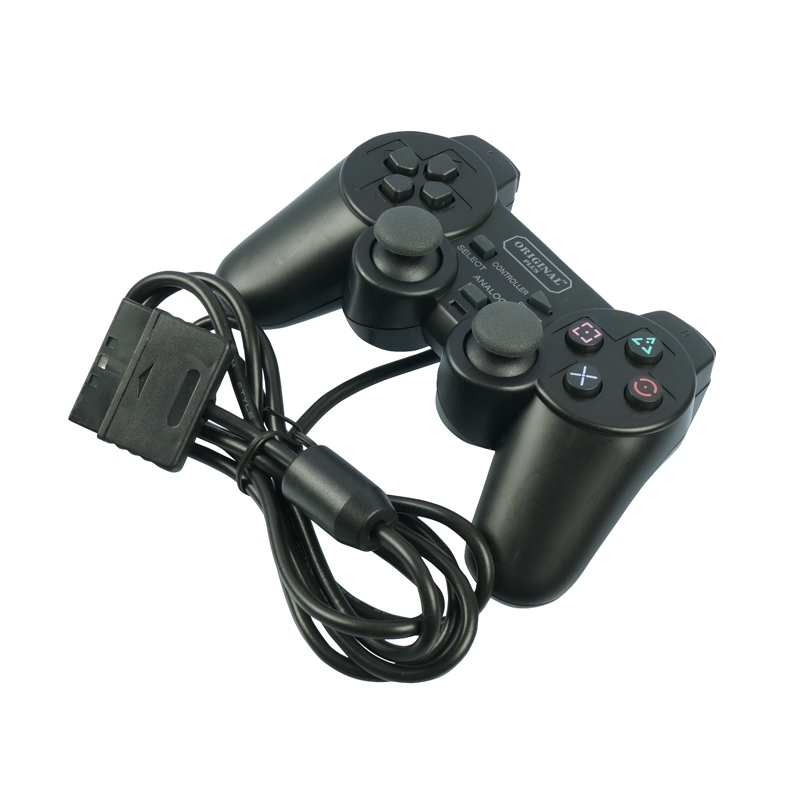 As above, there is no terms or declaration for joystick… is there any coding of joystick ps2 using this SKPS ?? Hi, you can download the sample code at the bottom of the tutorial. Including the sketch for Arduino. If you have further question, please feel free to discuss in our technical forum. You need to discount the SKPS from the RX TX pins on UNO. is there any new library need to be installed for Arduino in order to use SKPS protocols? 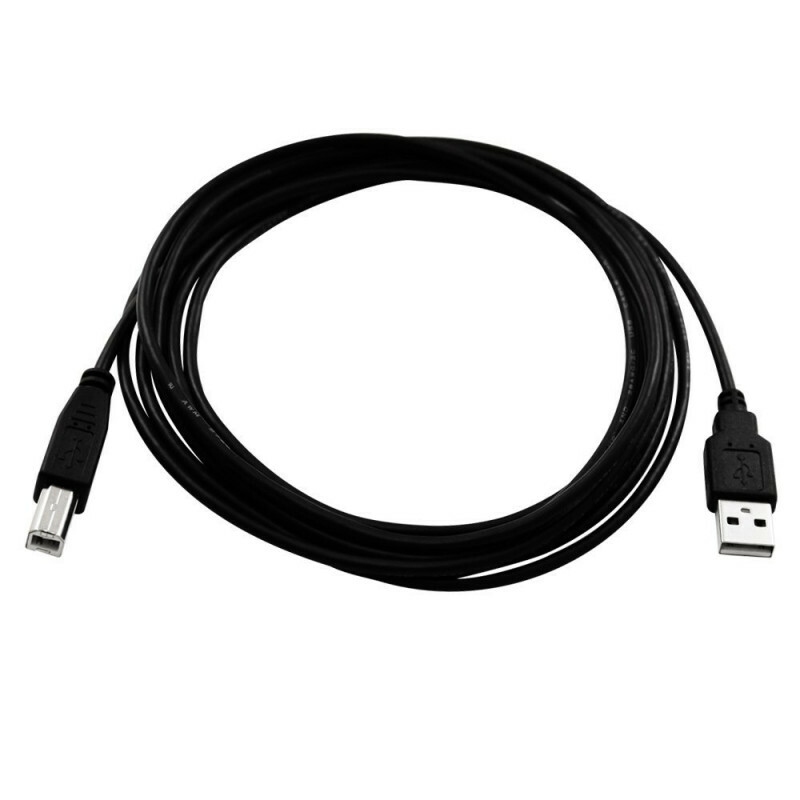 is the cvoding same if Arduino Mega used instead of Arduino-due? you just need to add number 1 after the word serial. Serial1.flush(); //Waits for the transmission of outgoing serial data to complete.